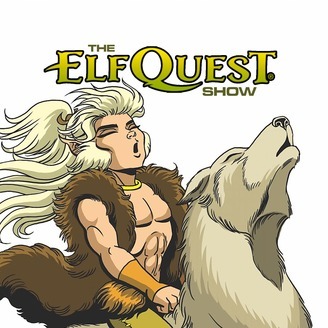 The ElfQuest Show is the only fan-made podcast series dedicated to the long-running, award-winning, epic fantasy series ElfQuest, created by Wendy and Richard Pini. 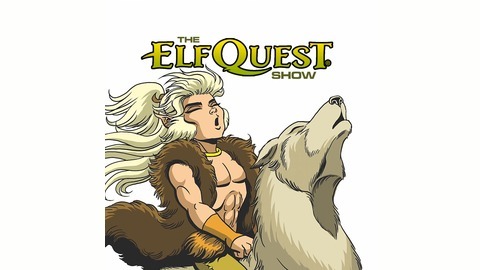 The podcast was created by ElfQuest über-fans Ryan Browne and David Mizejewski. Explore the world of the Wolfriders and all their allies and enemies on the World of Two Moons and beyond. The Quest goes ever on! AYOOOOAH!!! Podcast title art courtesy of Richard Pini, with logo text by Rob Beschizza. Production Assists by Justin Wolfe. Visit ElfQuest on the web at : http://www.elfquest.com/ Dark Horse Comics, publisher of ElfQuest: http://www.darkhorse.com/ ElfQuest on Facebook: https://www.facebook.com/elfquest https://www.facebook.com/groups/ElfquestFans/ ElfQuest on Twitter: https://twitter.com/elfquest ElfQuest on Instagram: https://www.instagram.com/elfquestcomics/ Elfquest art is copyright Warp Graphics, Inc. ElfQuest and its logos, characters, situations and all related indicia, and their distinctive likenesses are trademarks of Warp Graphics, Inc. All rights reserved worldwide. It's been one year since the release of the final issue of The Final Quest. I caught up with Wendy and Richard Pini to hear what the last year has been like, and what it feels like to have concluded Cutter's Hero's Journey, a story 40 years in the telling. The Pinis share their experience meeting fans on their publicity tour, being nominated for an Eisner Award and their insights into Wendy's "animated" drawing technique, Moonshade's death, the Palace's hum, the mythic quality of Cutter's tale, the power of "Once Upon a Time," hints and foreshadowing, clues about what's next . . . and flying meatloaf.